The Black Knight Hex Phenom, a traditional head shape from Black Knight. Here’s my review of the Hex Phenom! In some of the product photos it has black string (Ashaway SuperNick ZX Micro, I think) and in other photos it has orange strings (Ashaway SuperNick ZX). The first of the new Hex series, the Phenom, will be in stores in September 2017. The unique hexagonal cross-section throughout the frame wipes out vibration in this medium stiff, head light frame. 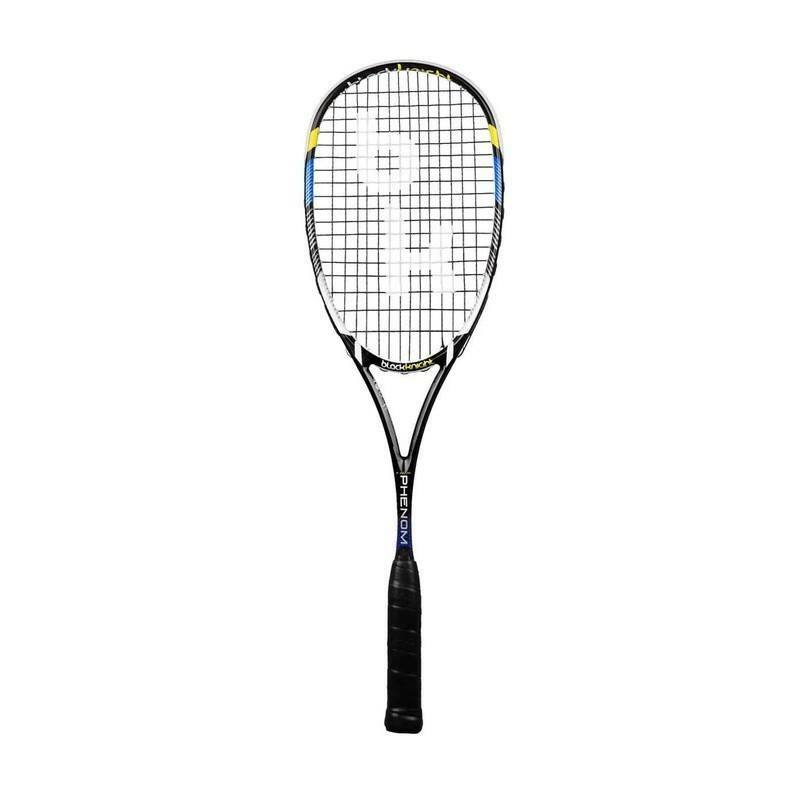 The Phenom also features Black Knight’s Thermal Core technology and will be available with Ashaway’s newest string, SuperNick ZX Micro, and a BK Rad Cushion grip. 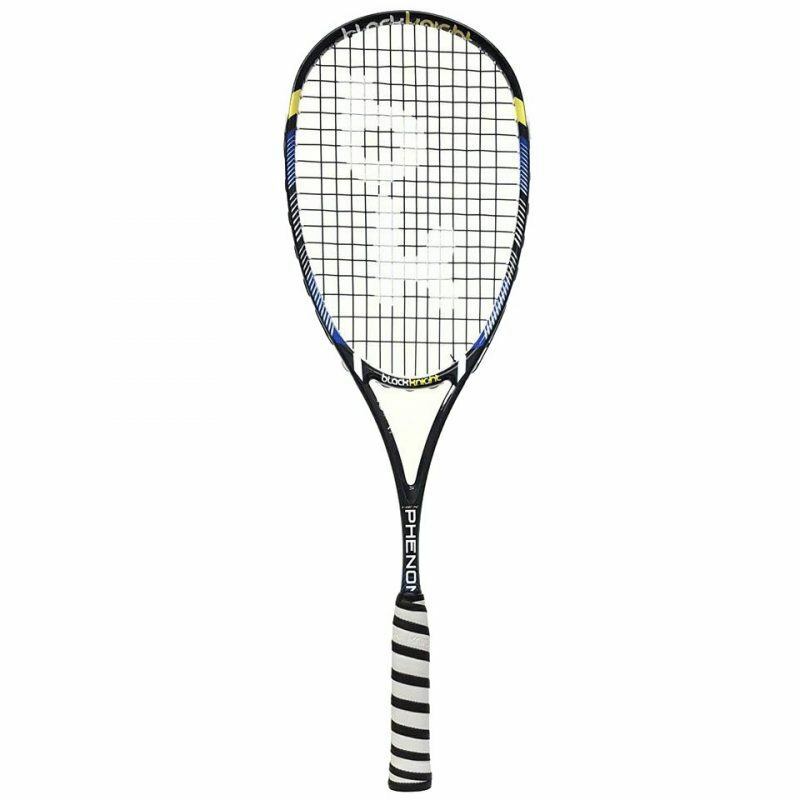 Glad to see a review of this racket because I was really interested in it last year but ultimately couldn’t find out much about it and ended up buying something else. I understand from the video that you liked the racket and the strings but can you speak some more to how you found the power and control from it and if it is a racket that you would consider making your “gamer”. To be honest I would not use it as my go-to racket. I tend to prefer a racket that’s even-balanced and a bit more solid-feeling. This one felt softer and was heady heavy. To get the most out of it I had to use it differently than my natural tendency (I used the “whip” action mentioned in the video). It’s a good question about how to rate the power & control. I’ve always had trouble answering that question. For me personally, the solid feel gives me both more power and control. My sense is that other people who have a different swing pattern might get both better control and power from a setup that’s completely different from mine. Looked at another way, I don’t think it’s possible to assign absolute power / control ratings for a given racket, if that makes sense. That’s totally fair. 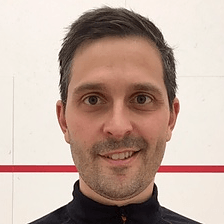 I myself really struggle with very light rackets that have a head light balance and on the other side of the spectrum I also struggle with mid weight rackets with a head heavy balance. My sweet spot is a unstrung weight of 130-140g (total weight 150-155g), an even to slightly head light balance and a frame that has a little flex and isn’t too stiff. I suspect since it is a new frame mold (hex), higher grade materials, and possibly better quality control that it all plays a factor in the pricing. Plus it is a newer model which adds a certain increased price to it. I am having troubles with breaking Corona6 racquets )having broken 2 in a couple month span after not breaking a Technifibre for over 2 years). Any idea if this is comparable in feel/ characteristics? 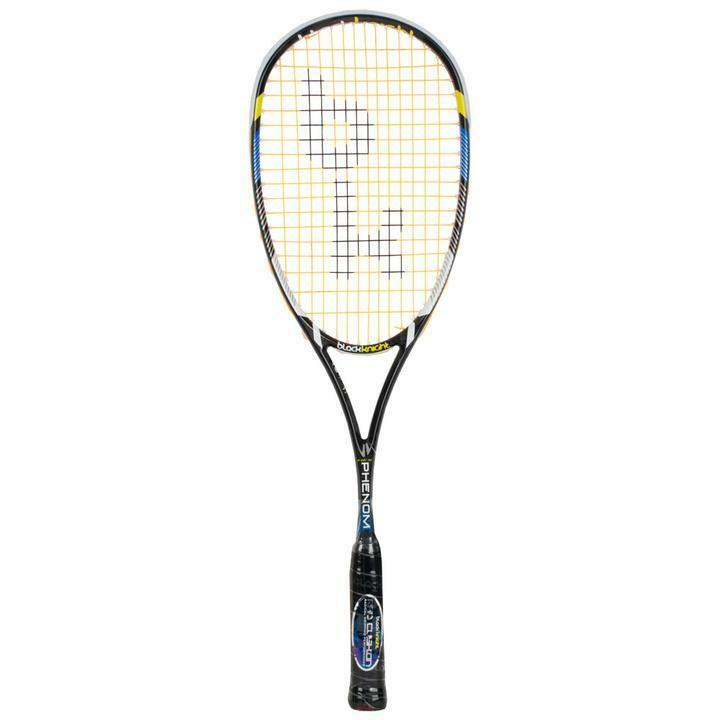 I don’t like the Element line of racquets in comparison to the Corona6. A quick heads up that we received stock of the new BK Hex Phenom on Friday and we are stoked to try it out. Plan to hit with it this week and post a review online shortly after. Have you managed to play with this racket yet Larry? I just broke an Ion Element PSX at the weekend and would like to know how this compares. Yes I have had a quick hit with it. 1) Head shape – a little narrower width and longer length which seemed to stretch the sweetspot out better and bigger. 2) Slightly more head light so I could come around on the ball better out of the back corners and hold it longer for a bit more control. 3) Slimmer beam profile. Felt more responsive in my hand. I hope that helps. If you have other questions feel free to ask.